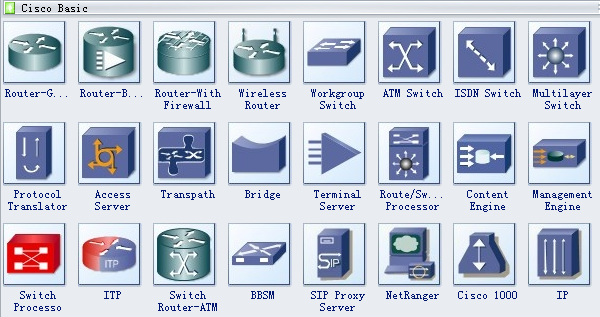 Pre-drawn Cisco miscellaneous diagram symbols like arrow, jet plane, inventory and more help create accurate diagrams and documentation. 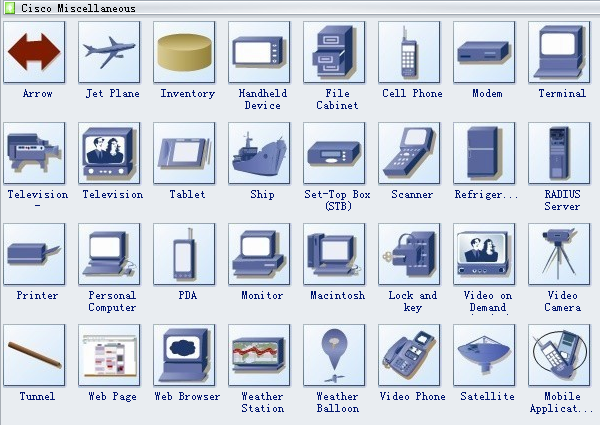 Edraw software provides you many useful shapes used in the Cisco miscellaneous diagrams, arrow, jet plans, inventory, handheld device, file cabinet, cell phone, modem, terminal, television, tablet, ship, set-top box (STB), scanner, etc. .
Jet plane is an airplane powered by one or more jet engines. Modem is a combined device for modulation and demodulation. Satellite is an artificial body placed in orbit round the earth or another planet in order to collect information or for communication. Wireless router is a device that performs the functions of a router but also includes the functions of a wireless access point. ATM switch takes care of daily clearing, settlement processing as well. ISDN switch provides access to packet switched networks, designed to allow digital transmission of voice and data over ordinary telephone copper wires. Access server is a computer server that enables an independent service provider (ISP) to provide connected customers with Internet access. Terminal server enables organizations to connect devices with an RS-232, RS-422 or RS-485 serial interface to a local area network. BBSM is short for Bulletin Board System Mailbox. IP address is an identifier for devices on a TCP/IP network. Mobile router is a category of broadband routers designed to help people connect their mobile devices. Wavelength Router architecture intelligently networks the point-to-point long-haul optical pipes created by dense wave-division multiplexing (DWDM). Cisco catalyst is the brand name for a variety of network switches sold by Cisco Systems. Virtual switch is a software program that allows one virtual machine (VM) to communicate with another. 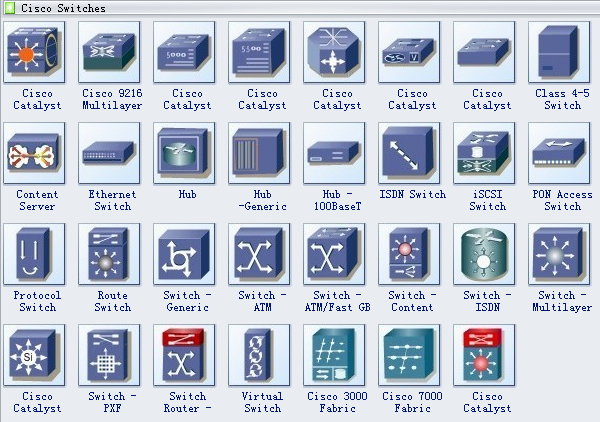 Need fresh looking Cisco miscellaneous diagram symbols for your design? 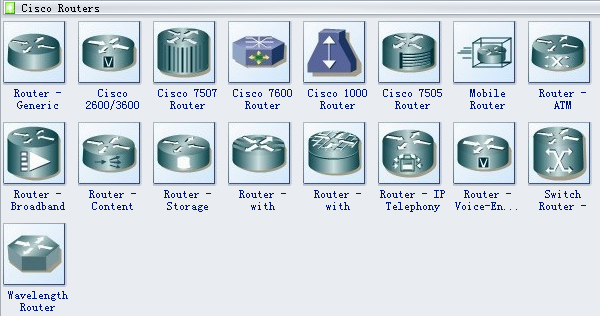 These Cisco miscellaneous diagram symbols are a cinch to pop in. And their crisp, fine detail will make spectacular, easy-to-understand diagrams and presentations to your customers.